LUCKY CHOW travels across the United States to explore Asian cuisine’s impact on American food culture. Hosted by Danielle Chang, the series explores a wide variety of Asian food and drink while meeting the new generation of chefs and entrepreneurs dedicated to keeping the traditions alive. New Yorker-turned-Japanese-ramen-chef Ivan Orkin iscusses ramen culture in New York versus Tokyo. New York and Los Angeles, home to the two largest Korean populations in America, are explored. Andy Ricker, a chef from Portland, Oregon is known for bringing “authentic” Thai food to America. PJ Quesada of the Filipino Food Movement explains Filipino cuisine in San Mateo, California. Olivia Wu, designer of the original Asian restaurant concepts on Google’s “campus,” is introduced. The evolution of Chinese food in America is explored in New York City. Peking duck is prepared. Danielle visits New York’s first cat cafe; a Brooklyn izakaya run by a Frenchman in thrall to Japanese anime and manga; and a California suburban mom who’s a star on the international bento-box circuit. Farmers are the new rock stars of the food world, and in this episode Danielle visits agriculturists large and small, traditional and cutting edge. Danielle visits an imposing Buddhist temple where she is served an artful vegetarian feast; a Sikh temple where she helps cook Indian flatbread; and a Queens mosque’s annual food fair. Danielle checks out an industrial kitchen where traditional “confinement meals” are made for new mothers across the country. Danielle interviews a former financier who offers a light, healthy take on Indian classics at his fast-casual start-up Inday. Danielle gets back to her roots in an episode devoted to the distinctive, rustic cuisine of Taiwan. Asian cuisine is increasingly the engine driving the growth of the American food industry. 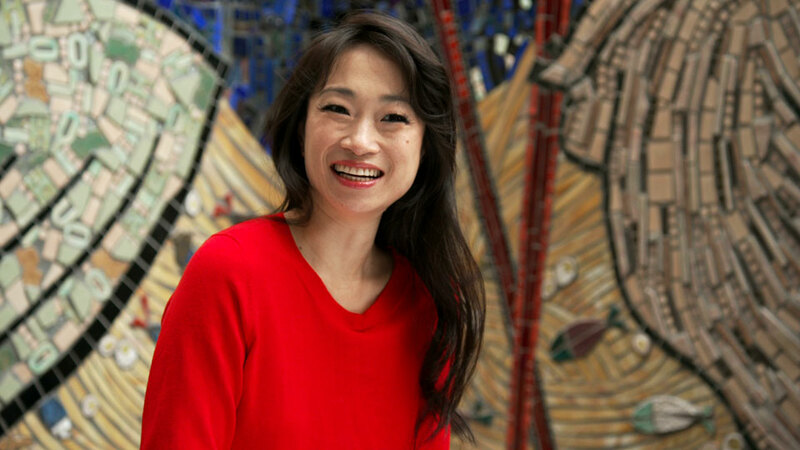 Danielle talks to three Asian-American entrepreneurs about the secrets of their success.